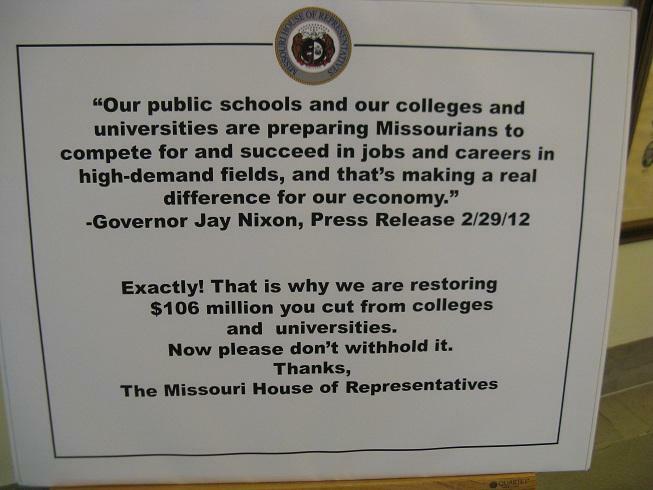 A sign posted outside the office door of Mo. House Budget Chairman Ryan Silvey (R, Kansas City). 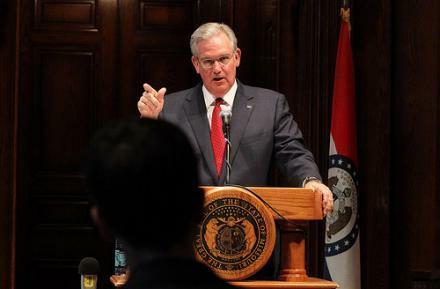 Governor Nixon withheld $8 million from K-12 transportation and $17 million from Higher Education when he signed the current state budget into law last year. House Budget Chairman Ryan Silvey (R, Kansas City) blasted the governor’s actions, saying last year’s cuts were not necessary.